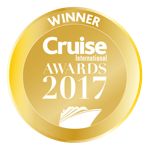 Please note as of March 2016 Ocean Princess has been refurbished and move to Oceania Cruises' fleet under the name Sirena. The Ocean Princess comes with all the superb dining options that Princess Cruises are known for. To complement the traditional cruise dining of the Main Dining room the Ocean Princess also boasts the signature specialty restaurants, Sabatini's Italian and the Sterling Steakhouse. For more relaxed dining there is also the Panoramic Buffet and the poolside grill. The entertainment may be smaller scale but is in no way toned down on board the Ocean Princess. You can take in a fabulous show in the Cabaret Lounge or enjoy the live music and great atmosphere in the Tahitian Lounge. There is the usual suspects including the casino, fine arts gallery and duty free boutiques. The Ocean Princess also offers a great selection of Spa & Fitness facilities. You can relax by the pool or in the hut tubs, enjoy a treatment in the Lotus Spa or be pampered in the Salon. For the more active of us there is a full fitness suite and the golf practice cage to enjoy. The Ocean Princess may be one of the smallest ships in the fleet but she still offers you the opporunity to dig out your favourite dickie bow one night and slip into some chinos the next. The informal nights onboard are jacket and trousers for the gents, a casual, yet elegant dress for the ladies, with the formal nights giving you the chance to go the whole nine yards. Maxi dresses and evenings gowns are a must at the Captain's cocktail party and black tie is ever-present with the gents onboard. For those quite eveings or long days ashore the buffet restaurant always offers a casual dress code. This was our 12th princess cruise but we had never been on Ocean Princess but we had been on Grand, Ruby, Crown, Island, Coral and Sea and they have all been amazing the food OUTSTANDING crew SO HELPFUL. Our cabin steward was called sixtoes he was so nice i recommend the crown grill the entertainment was good i had a suite it was spacious and comfy so sad leaving the ship. We got the cruise for a great price to £8999pp getting ready to book my next cruise on the Diamond Princess, I onder if Pacific Princess is the same? Everything we expected from the flight, transfers were perfect and cruise. Fantastic!